Plenty to go at: segmented background, large grungy text, selective pops of colour on the text, brightly coloured focal image, dimension from the popped-up bird. 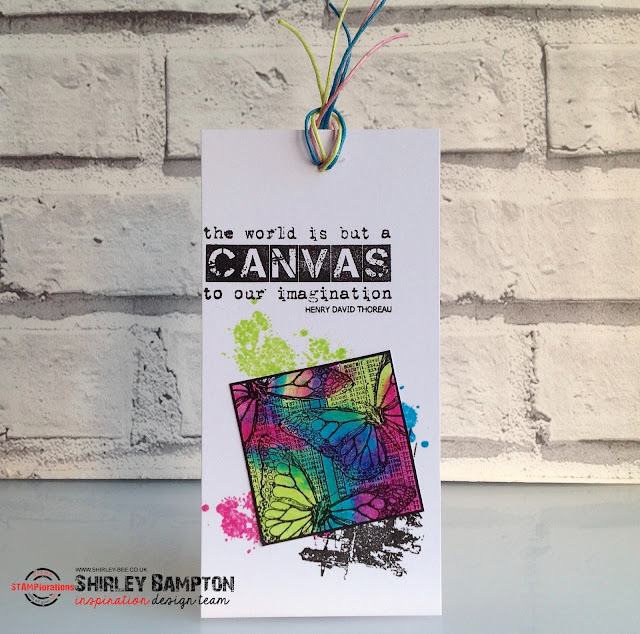 Pop on over to the STAMPlorations blog to see how the rest of the Design Team CASEd Suchi's card, and if you fancy CASEing any of the cards, add them to the CASEplorations gallery for a chance to win prizes. It's alive! I love the detours. So fabulous! The new sentiment works perfectly!